With the rainy season upon us in force – I expect a lot of people with off-road vehicles have been selecting their 4wd. Especially those who live on the outskirts of Kampala and upcountry where the roads can be bad, if not seemingly impassable, at times. When you do select 4wd, make sure your vehicle does not suffer from extreme axle wind-up, as this can cause expensive damage – $3,000 and upwards! It is important that 4wd is disengaged and the warning light goes off before travelling off an unsealed road on to the tarmac. Axle wind-up begins to occur when you select 4wd and start to corner. The reason is that when 4wd is engaged, you are driving front and rear axles at the same speed all the time – when you corner the front and rear must be driven at different speeds as they take a different track. This causes tension built up within the whole of the drive train and if then, tension is not released it keeps on building up until something gives. Usually something small, delicate and very expensive!! When travelling on an unsealed road such as a murram, gravelled or laterite surface you have at least a 50% reduction in grip between the tyres and the road. 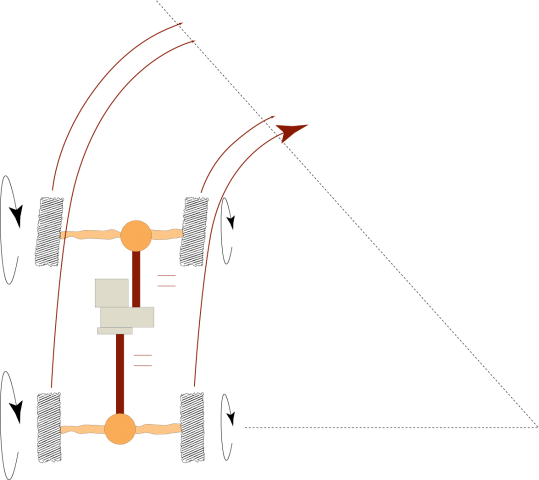 Therefore, the axle wind up that occurs is released through the wheels. On a sealed road such as tarmac or concrete the tyres adhere themselves to the surface to a degree and the wind-up is extremely difficult to release. You will feel symptoms such as very hard steering, the feeling that the vehicle is jumping up and down and find it hard to change gear. If you do experience any of the above then you must stop immediately and try to release the wind-up and ensure that the vehicle is back in 2wd or the centre differential is unlocked. To release the wind-up in this situation you only have to jack up one wheel. But beware; the wheel will spin around quite fast as the tension is released. I am often asked, “Why did you start 4wd training in Uganda?” The reason is because of the above phenomenon. At one time I was running a small vehicle workshop in Kampala. A new customer came in with a broken down vehicle requiring a transfer box and gearbox overhaul. After speaking with the driver I got the following information. The vehicle had been in for a clutch change not long before. The gearbox had been removed to change the clutch and on refitting it seems that the wires to the sender unit for the centre differential lock warning light had not been reconnected. The driver, who was not thoroughly conversant with the system then drove the vehicle with the centre differential locked on a tarmac road and began to experience the above symptoms. Not fully understanding what was going on, he just kept on driving until the vehicle stopped! And then it required a tow truck to get it back to Kampala. After that we started to do some in house training with our customers and it built up from there. So our advice is, as part of your daily / weekly checks on your vehicle, you should ensure that the 4wd warning light does work so that you know for sure that you have the correct selection in the transfer box. Sign up to receive the latest updates from OnCourse and my blog. For the last 15 years, I have been the lead trainer /director for OnCourse. Have played a leading role in developing their courses into, probably, the best off road training courses, globally.